I left Bamberg last weekend. There is so much that could be said about this beautiful town, my alma mater and all the friends that I will dearly miss. For now, I would like to keep it brief: Adela! And with Daniel in mind: Servus! Tschüss! Ade! In case you are looking for me, you can find me in Cologne (German: Köln ). Today, I would like to point to two blogs that could be interesting for nerds and academics alike. Simon and Jörg, two of my fellow students of Information Systems, joined the university’s Chair of Practical Computer Science as research assistants. While writing their diploma theses, both of them started blogging. Simon Harrer’s blog covers productivity and software development. Jörg Lenhard has some LaTeX tips and academia insights for you. 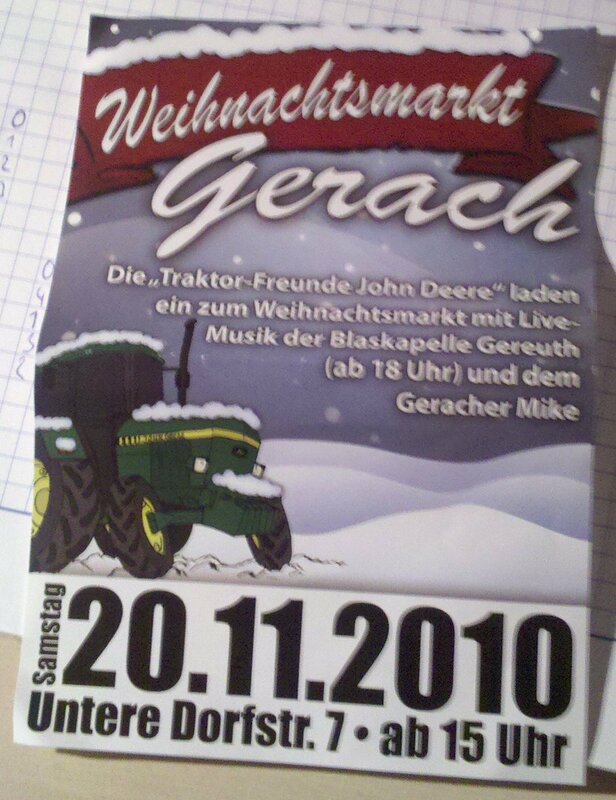 Die einzig offen bleibende Frage: Wer ist der Geracher Mike? Wer opfert seinen Samstagabend für die Wissenschaft? Freiwillige vor!